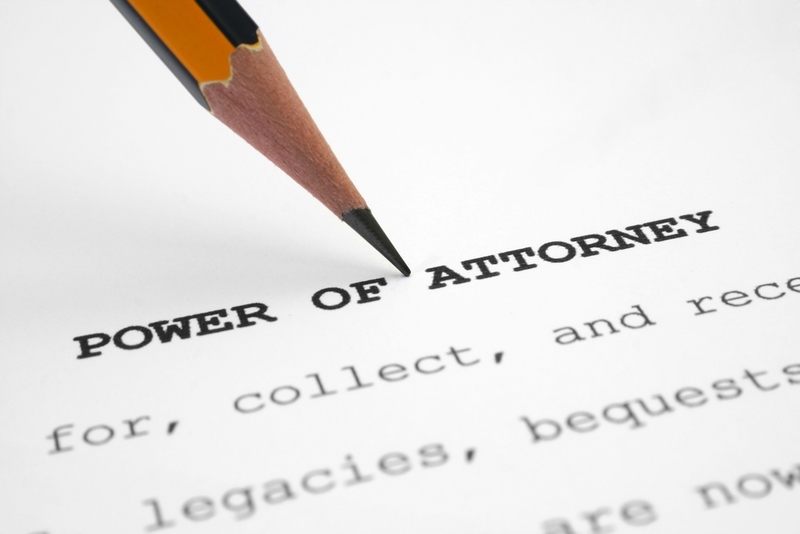 A Lasting Power of Attorney is a legal document that allows you, the Donor, to appoint someone of your choice, called an Attorney, to help make decisions on your behalf in the event you struggle to manage your finances due to mobility or physical limitations or in the event of accident or illness which results in you becoming mentally incapacitated. You can choose to create one or both of these. The Health & Welfare LPA is used to give your Attorney the power to make decisions based on matters such as washing, eating and getting dressed. It also covers things such as medical care, consent for life-sustaining treatment or moving into a care home. This can only be used when you’re unable to make your own decisions. The Property & Financial LPA is used to give your Attorney person the authority to make decisions about money and property for you. The Attorney can access and manage your bank/building society account, pay your bills, collect benefits or pension for you, or sell your home. This type of LPA can be used as soon as it is registered, with your permission. Every minute and a half in the UK, a person is admitted to hospital with a brain injury, whether that’s from a road traffic accident, or something more unexpected. Some people believe that only older citizens need to create an LPA, but that’s simply not true, a lot of parents create an LPA to ensure that their children are looked after. If you become mentally incapacitated, through injury or illness, and haven’t created a Lasting Power or Attorney, it can lead to complications. You’ll lose your ability to choose who makes decisions for you, as you can only create an LPA when you have mental capacity. This can result in your family or friends having to go to court to make decisions for you, and this can end up being a lot more time-consuming and costly compared to creating an LPA. Who is an LPA for? The simple answer is any person aged over 18 who has mental capacity may create an LPA. As people live longer, it is likely that common diseases such as dementia, heart disease or cancer may leave us dependent on other people. Once registered with the Office of the Public Guardian, your LPA becomes legally binding. You will still be able to make decisions for yourself until such time as you decide to allow your Attorney to act or you becoming mentally incapable of making your own decisions. With a Health & Welfare LPA, no decisions can be made by your attorney until you no longer have mental capacity. A Property & Financial LPA, will enable your Attorney to make decisions for you whilst you still have mental capacity or when you have become mentally incapable – this doesn’t mean that they can just take over all of your decisions for you right away, as you will still be able to make your own decisions whilst able to still do so. There are some restrictions, but you can generally appoint any person aged 18 or over who has mental capacity to act as your attorney. This person could be your spouse, a child, a friend or professional, such as a solicitor. The attorney does not need to be a British citizen or live in the UK to be appointed. It’s important to consider a few things when choosing who to appoint as your attorney. How well do you know this person? Do you trust them to make decisions with your best interests in mind? How well do they look after their own health/finance affairs? You may choose to appoint more than one person as your attorney. If this is the case, you’ll need to decide if they make decisions separately or together. What Happens if I Want a Second Attorney? If you choose to appoint more than once person to act as your attorney this must be done at the outset in your initial LPA and you must consider how the attorney’s will make decisions for you. You will need to choose if your attorneys make decisions separately or together. If you choose that they have to make decisions together, all appointed attorneys must agree on a decision before it is made. It is worth exploring this option in more detail as complications can arise when all attorneys must agree before a decision is made or action is taken. How Can Mark Reynolds Solicitors Help? Our specialist solicitors are experienced in the arranging of Lasting Powers of Attorney and will advise and support you throughout your application. We have offices in Liverpool, Runcorn, Leigh and Warrington. We understand it can be difficult to think of a time when you may be unable to handle your own affairs and will handle the whole process with due care and tact to ensure that you get the best service. For more information about making a Lasting Power of Attorney contact us today by calling us on 01942 260 228 or submitting an enquiry form.